Hello hello! Last week Sophie and I embarked on a 14 hour road trip through the Aussie outback to Adelaide. It was a super fun week and I got to see a city I had never originally planned to visit. I had a list of things I really wanted to see and do while we were there, and Fringe Festival was at the top of that list. 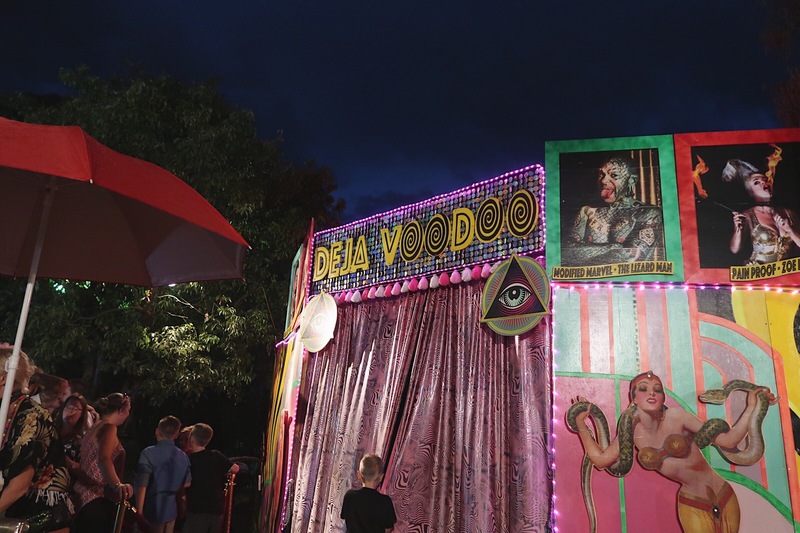 ﻿Full of energy that was not at all dampened by the rain, the Garden of Unearthly Delights was the perfect set up for carnival-like venues and quirky stalls. The street leading up to the entrance had been blocked off so no cars could pass through, so the sidewalk was full of outdoor seating for bars and restaurants, whilst the road itself was packed with people making their way to the Garden. Down one alley a pop-up bar had been put together using the scaffolding attached its neighbouring building, which looked so cool and definitely deserved a 10/10 for creativity. As we walked into the Garden itself, the lights dangling from trees brought a magical feeling to the place already. Instantly I noticed the British double decker bus that had been turned into a bar, and an old single that was now a thrift store. Once again, top marks for imagination. The same can also be said for the rest of the venue. 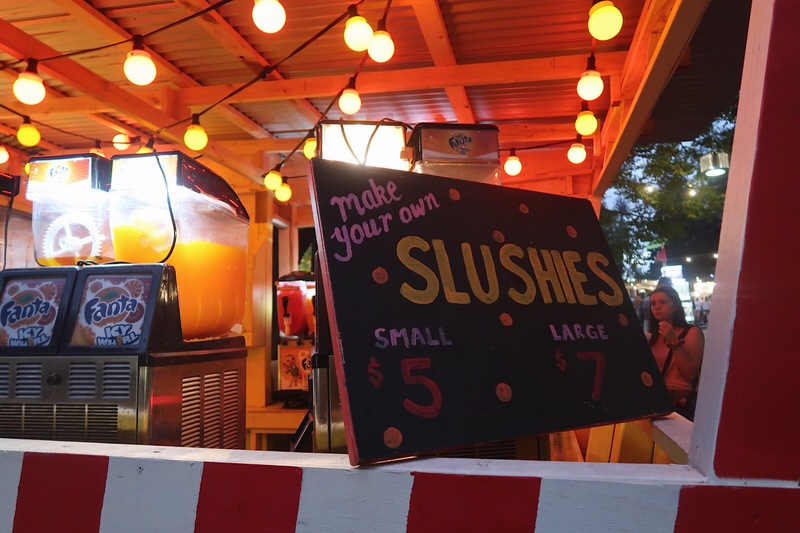 Every food and drink stall brought its own unique design, including Mojitos being served from a decked out caravan. 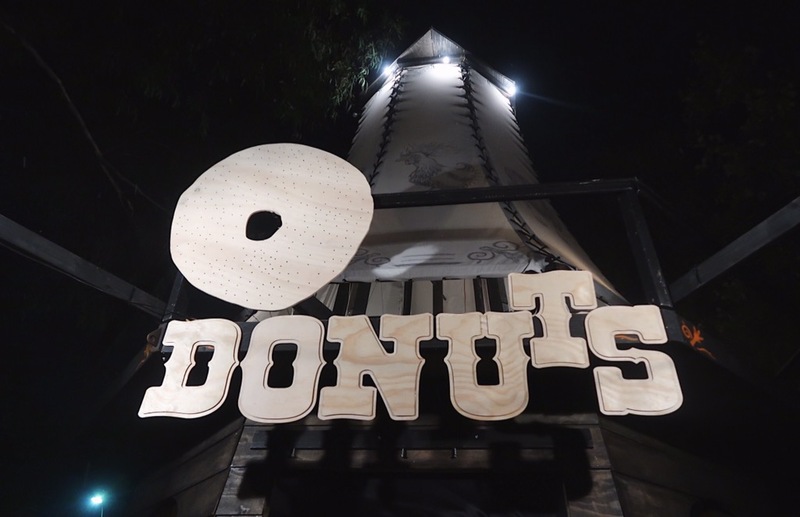 I couldn’t resist buying some freshly cooked donuts from the hut next to the big top tent, and when I say “some” I mean 6. Whoops. ‘Market City’ offered a variety of shed-like shops selling clothes, handmade crafts, and Henna body paintings. I bought a super cute dream catcher for $15. It’s small enough to fit neatly in my suitcase or hand luggage when I fly home, but I would have gladly bought the larger version if travelling with it wasn’t an issue. The Garden of Unearthly Delights wasn’t just food and drink stalls, there were ticketed shows and sideshows going on in all the venues scattered about, but I was happy just wandering around the garden itself. Wow! This looks amazing, such a contrast to British festivals.